Walter became a Christian when he was seventeen years of age. He has been serving in the Lord’s church ever since. 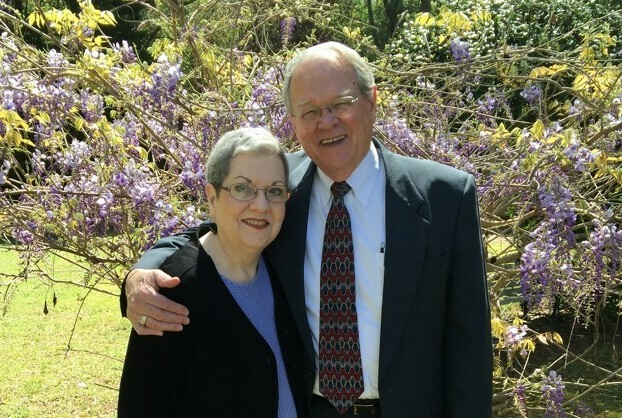 Walter has served as a deacon in Fayetteville, Georgia and presently serves as an elder of Northside. Walter drives a bus for the Active Life Center of LaGrange and enjoys working outside in his yard. Walter is supported by his wife, Barbara. Bill was born and raised in Athens, Alabama. After graduating from high school, he served for four years in the USAF. On November 10, 1963 he married the former Lynda Mitchell from Decatur, Alabama. They have three children: a son, Vance, who lives in Phoenix, Arizona; a daughter Felicia Smith [Rick], who lives in LaGrange, GA; and second daughter, Kelli Satterfield [Barry], who lives in Honea Path, South Carolina. They have three grandsons: Braxton, Jackson, and Eli; one granddaughter, Ally; and one great-granddaughter, Anniston. Bill retired in 2002 after 39 1/2 years with Washington Mutual Financial Services. As time permits, Bill enjoys playing golf with friends. Bill became a Christian at an early age and rededicated his life to Christ in 1990. He enjoys teaching and putting together Bible lessons. He was appointed an elder on September 27, 2005 at Northside. Terrell is a LaGrange native. He graduated from LaGrange High School and from Young Harris College in North Georgia. Afterwards, he worked for Lowe Electric Company in Macon, Georgia, until he was drafted into the army where he became a Sergeant E-5. He then began a career with Lockheed Aircraft in Marietta, Georgia, where he met Glenda, his wife of 46 years (2012). A few years later they moved to Dothan, Alabama, and he spent five years in home construction. In 1975 he moved his family to LaGrange and worked as a machinist and machine shop foreman until opening a small business, The Tinker Shop, from which he retired in 2008. Terrell and Glenda have three daughters and four grandchildren. He attributes his baptism in 1971 to this father-in-law and wife, and has been an active, faithful member of the Lord’s church. He has had the privilege of serving as a deacon and elder in the church.